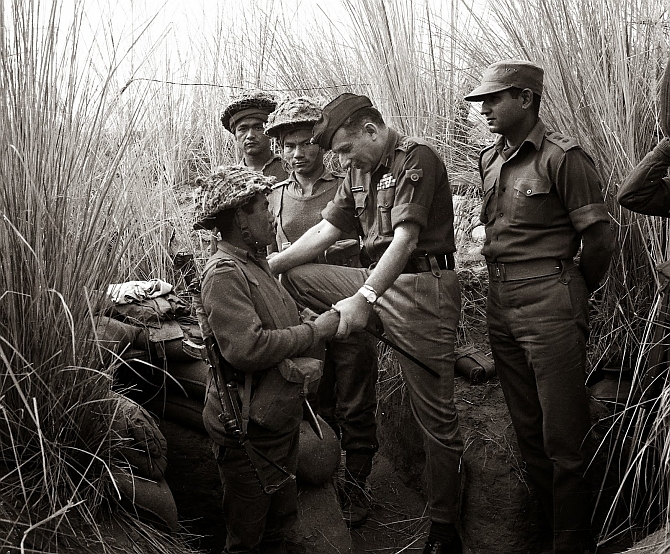 Lieutenant Colonel A K Shinde (retd), the field marshal's doctor for 25 years, tells Rediff.com's Archana Masih about the charming man behind the soldier's uniform. Among the family photographs in Lieutenant Colonel A K Shinde and Mrs Raj Shinde's drawing room in Bearhatty, the Nilgiris, is a photograph of an iconic Indian soldier. Like always, Sam Manekshaw is wearing a suit. He is bent by age but his charming smile radiates through the framed picture taken at their daughter's wedding where he was the chief guest in 2001. "He was a demigod. 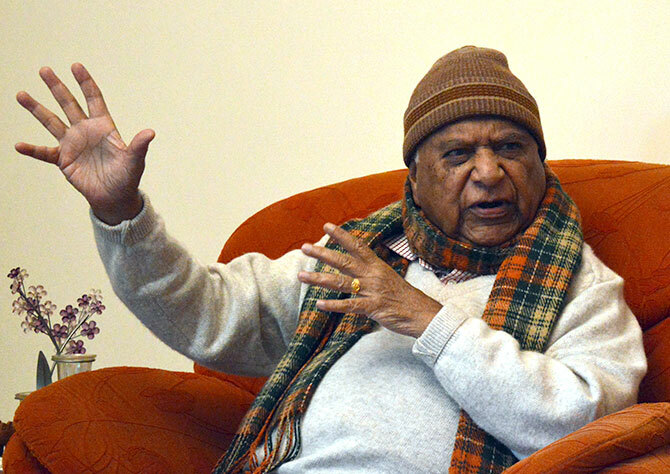 Those who remember him in the army worship him," says Dr Shinde, who was the field marshal's doctor for 25 years. "He was ram-rod straight and only got a stoop in later years. He dressed immaculately -- and always looked you in the eye." "He never demanded respect. He commanded it." 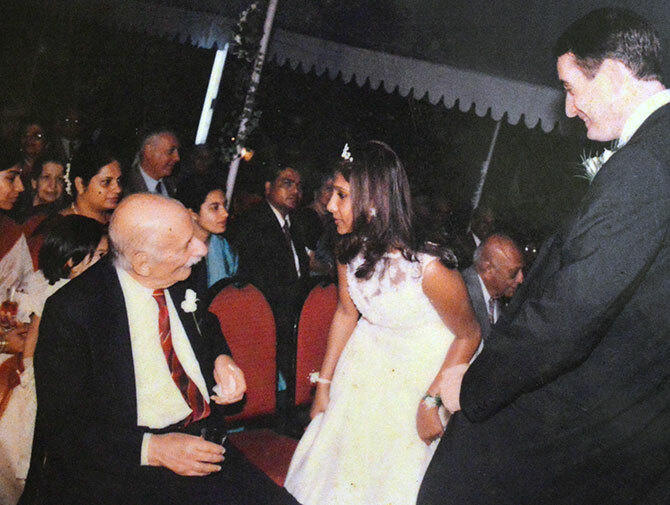 IMAGE: Field Marshal Manekshaw flanked by Dr A K Shinde and Mrs Raj Shinde at their daughter Sangeetha's wedding in 2001. "There would be a small crowd waiting outside and he would never, I repeat NEVER, enter my office," emphasises Dr Shinde. "He would wait his turn outside talking to the jawans and their families in Gorkhali, Punjabi, English or Hindi. Then some nursing assistant would spot him and come running inside and say: 'Sir, the field marshal is outside'." "And I would go out and tell him, 'Sir, don't do this to me!'" "He would say 'You bloody well go inside and do your work'," remembers the doctor with a laugh. 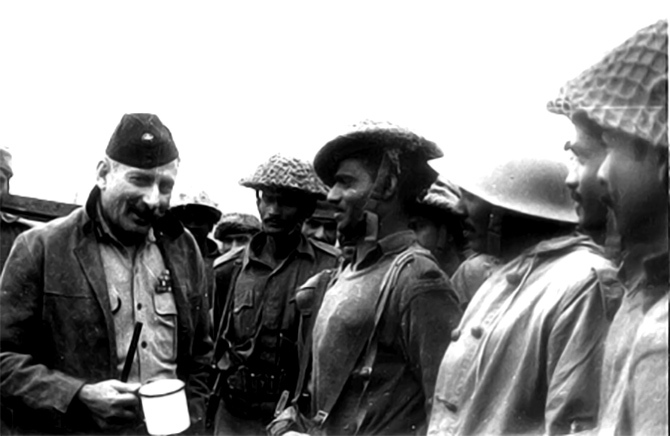 IMAGE: General Manekshaw was a brilliant commander. Men who served under him all have 'Sam Manekshaw' stories to tell of his leadership. He was a soldier's soldier. He liked going into the trenches to meet his men and once refused silverware, instead asking for a tin mug, while having tea with troops on the China border as chief of the army staff. "She said all these doctors are standing around and he is giving them a lecture!" recalls the doctor who first met the then lieutenant general at a forward post in the 1965 war with Pakistan. "People were just in awe of him." "They could have opened an ICU inside his house but he was not that kind of man," adds Dr Shinde. "They don't make soldiers like him any more," adds Mrs Raj Shinde who worked closely with Mrs Siloo Manekshaw at a clinic for the poor for nearly 20 years. The Shindes are one of the few old timers in town who knew the Manekshaws very well. They generously share stories about the soldier widely considered the country's greatest military hero. "But he watered each plant himself every day till he took ill," says Mrs Radha Balachandran, a Coonoor resident for nearly 50 years. "He loved gardening and his dogs. 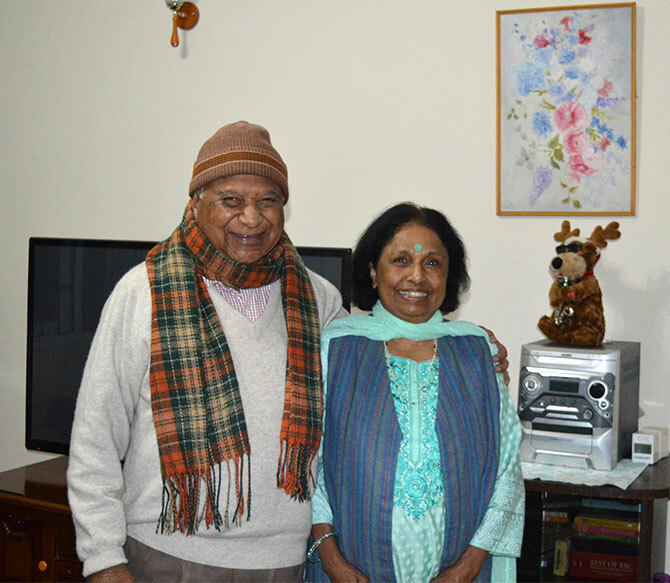 You could often see them (Siloo and Sam Manekshaw) in the market buying meat for the dogs and vegetables in their old Maruti 800," adds Mrs Shinde. "He was a military icon, but was very unassuming." As his doctor, the field marshal's courage was known to Dr Shinde. He had seen the scars of the bullets that had riddled his torso. Shots that nearly took his life while fighting in Burma during World War II and won him the Military Cross. General Manekshaw had an illustrious career, he commanded the hot seat commands of the Indian Army -- the Eastern and Western Commands -- and provided brilliant leadership to the combined defence forces, heaping a humiliating defeat on Pakistan in the 1971 War. "He told her -- 'Darling, you have a long nose, I have a long nose. It ends there. You mind your matters and let me mind mine'," continues Mrs Shinde. IMAGE: The field marshal proposed a toast at Sangeetha Shinde's wedding. "'My father was a doctor, my brother was a doctor and I too nearly became a doctor'," recalls Dr Shinde repeating the field marshal's words, "'But better sense prevailed and I joined the army -- but to this day, no lady has complained about my bedside manners'." "He had such a great sense of humour." Many who met Field Marshal Manekshaw have 'Sam Manekshaw' stories to tell. This one is from Mrs Shinde -- whose father was from the last Indian Civil Services batch and helped quell the post-Partition riots under Sardar Patel at the home ministry. "And my mother-in-law instead of saying 'Impossible' asked how much is a camel worth?" laughs Dr Shinde, an excellent story-teller. "On her return, my wife was relating the story and the field marshal told her, 'Darling, I don't have any camels but I have two cows and three dogs'." "Oh, you never took offence because he said it in good humour and was a complete gentleman. The ladies loved him," adds Mrs Shinde with a laugh. "He went back and must have ticked off somebody in the government so Rs 1.3 crore of back pay was given to him. As a field marshal his pay was equivalent to that of the chief. He did not have a staff officer or official car." "After that they gave him a staff officer, a car, but it was too late," says Dr Shinde, still visibly upset. Shockingly, none of the three defence chiefs, not then defence minister A K Antony nor any other minister attended the field marshal's funeral. "It was shameful!" says Dr Shinde who was at the funeral. "And it will be a shame if he doesn't get a Bharat Ratna. He led the three services to India's greatest military victory and was an exceptional leader of men," he says in reference to current army chief General Bipin Rawat's recent remark that Field Marshal K C Cariappa should be honoured with the Bharat Ratna. 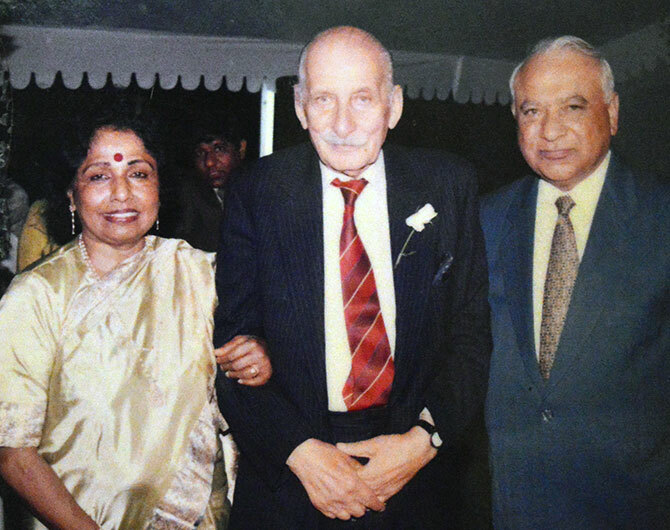 "Among India's military greats, the greatest is Sam Manekshaw."